At the end of the day FirstDown PlayBook is all about your time and what you do with it as a football coach. You see, we have never met a football coach who says he has enough time during the football season to coach his players as well as he wants to. The irony here is that most football coaches spent 90% of their time doing things other than working with and teaching their players. Some of it is not the coaches fault because there are only so many hours you can spend with the players regardless of what level you coach. Some of it, however, is just senseless. The way that most football programs and organizations (yes that’s you NFL) operate when it comes to playbooks, installations and practice preparation is pretty embarrassing when you look at how far the rest of the world has come. Who is the ultimate loser? Well, really everyone, but spending blurry eyed nights and precious daytime hours drawing football plays and schemes instead of time on your position group is a sure recipe for failure if it becomes the standard operating procedure. 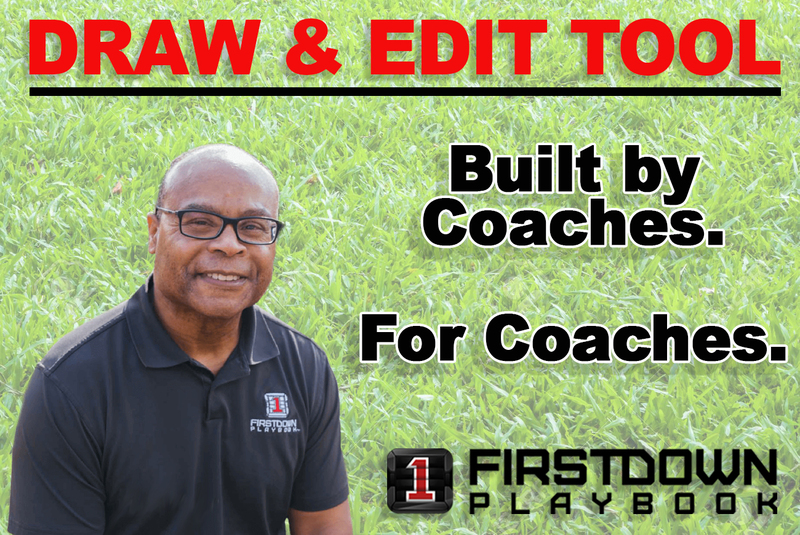 FirstDown PlayBook has lived this life and that’s why we are doing everything possible to get cards, sharpies and power point presentations out of your life and time to coach fundamentals and technique back in it. This video tells you how coaches across the county are getting there time back.